Every time you start your day, you draw on the emotional attachment processes your brain built as a baby. Perhaps you wish your partner a good day at work, give the dog one last fond pat, confidently place your youngest child in the arms of her childminder, worry whether your older child is going to patch things up with his mates at school, and turn your mind nervously to the meeting you will shortly be having with your manager. All of these experiences travel personalized neural circuits that were not in place when you were born but which you had laid down largely by the time you were one year of age. It is astounding to realise how much of our adult lives are influenced by experiences we had before we could walk, talk or consciously remember. Attachment is receiving renewed interest from a wide range of people: parents, medical staff, education, governmental agencies, scientists and economists. We are facing up to the fact that emotions have a much greater influence on our behaviour than our logical take on the world has traditionally acknowledged. We are realizing that we are better placed to address seemingly intractable societal problems, such as rates of imprisonment, outcomes for children in care, stress-related illnesses, and even poverty, by paying closer attention to our children’s emotional needs. Attachment is the biological need for relationships that all human beings are born with. It is especially important in the early years of life because it shapes the ways our brains and bodies handle emotions. Babies arrive with brains programmed to seek emotional and physical contact with other people. Over the first year, we discover who, in our world, is good at noticing our need for emotional contact and who isn’t so in tune with our needs. A baby’s rapidly developing brain keeps track of these patterns. He or she builds them into the expectations they are forming about relationships more generally. Human babies need to be able to keep track of emotional patterns. They are extraordinarily dependent. They will not be able to walk for a year or more. So if danger approaches (like a scary predator who would like to eat the baby for lunch! ), a baby cannot run away. He or she will need to depend on a parent or other adult to save them. We adults know that most predators have been killed off, so most babies in the world aren’t in such danger any more. But babies don’t know that! They are born with brains set up for an earlier evolutionary era. Their brains still think they might die if there is no adult to look out for them. That’s a consequence of being born with brains that are not yet mature. How does the attachment system wire early emotional experiences into the brain? 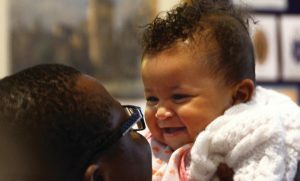 The attachment system helps a baby’s developing brain to work out whether a parent is likely to take notice of a baby’s emotional needs. If a parent is often in tune with the baby, he or she can relax. But if the parent doesn’t take much notice, then the baby needs to become more vigilant. He or she has to spend more time monitoring the parent’s attention, and this results in anxiety. If a baby spends enough time feeling anxious, that emotion gets wired into the brain. This is the attachment system in operation. It explains why early relationships leave such a lasting impact on our brains. The way other people treated us as babies literally leaves a biological imprint on our own bodies. How does attachment theory fit with today’s neuroscience? 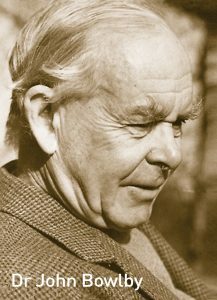 Between the 1950s and 1970s, scientists such as John Bowlby, Mary Ainsworth and James Robertson began to track behavioural patterns in the ways that babies respond emotionally to their caretakers. Their insights resulted in our knowledge of ‘attachment styles’, which has become a central component of ‘attachment theory’. Many professionals working the field of childcare or child development today will receive training in ‘attachment theory’. However, attachment is now recognized as more than a ‘theory’. 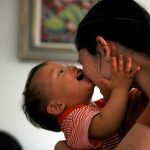 Neuroscientific discoveries over the past two decades have revealed the enormous impact that early relationships have on babies’ brain development. That interaction is a basic biological process. So when we say ‘the way that other people respond to our emotional needs as a baby leaves a lifelong impact on our biology’ — that statement is no longer regarded as ‘theory’. The operation of the attachment system is now regarded as ‘fact’. The goal now is to help spread this scientific knowledge about the attachment system as widely as possible, and to allow people to recognise it in operation. Whenever we are dealing with emotions, we are dealing with the attachment system. That is as true for adults as it is for children. 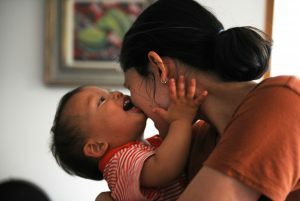 Babies’ experiences of relationships shape brain development. That’s why emotional connection matters so much for them. Neuroscientific discoveries over the past two decades have given us a much better understanding of human brain development and why early life events have such a lasting impact on neural pathways. Babies’ brains are not complete at birth. They are biologically designed to keep developing after birth. Why should brains be born incomplete? Having an organ that is incomplete at birth is a bit odd. When lungs are incomplete at birth, as can be the case with premature babies, we rightly worry, because the baby cannot breathe properly. Similarly, when a heart is incomplete, a baby cannot process blood properly. But brains are different from other organs. They are intended to keep developing after birth. The explanation for that lies in the size of our brains. As humans got smarter and smarter over the course of evolutionary history, brains and thus heads got bigger. They got so big that it became difficult for babies’ heads to fit through mothers’ birth canals. This process is especially challenging because we are a mammal species that walks on two legs, which makes the tilt of women’s hips even more tricky for giving birth. Were babies’ heads to get lodged in birth canals frequently, then mothers and babies would die in large numbers. One evolutionary solution might be to have womens’ hips expand to accommodate the birth of large heads, but there is only so far that hips can expand before women can’t walk very well. So evolution did a kind of a deal. It said: “What if the baby were born before the head is so large that it is likely to get stuck?” As a consequence, human babies are born earlier in the developmental process than most other mammal species. Relative to other mammals, all humans are born premature. What are the consequences of an incomplete brain? The advantage of a brain born ‘too early’ is that the brain is very flexible. It can develop in ways that allow it to knit itself closely to the environment in which the baby finds him or herself. A baby can learn to speak a particular language, with a local accent. A baby can learn what actions draw other people’s attention and which actions don’t. A baby can start to predict which events in his or her day will be scary or lonely or fun or reassuring. The disadvantage of being born ‘too early’ is that it makes the brain very fragile. The brain is so adaptable that it notices and is affected by everything that happens to the baby. That’s not only the moments that feel safe, but the moments that feel scary as well. We now know that brain development occurs more rapidly during the early years than will ever be the case again. By the age of 3 years, approximately 90% of the final brain mass is in place. As much as 70% of final brain mass is in place by the age of 1 year. This means that a massive amount of growth goes on even before a baby can walk or talk! Thus, the best time for shaping core emotional pathways in the brain is during the early years, before the age of 3 years. This doesn’t mean that it’s all over by the age of 3. 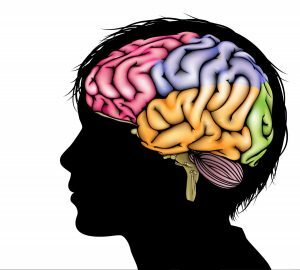 Brain development continues until the early 20s, and even then it still has massive capacities to change and adapt. But the brain will never again adapt as quickly and robustly as it does during the early years. That’s why it is so essential that babies have good experiences of emotional connection from the time they are born. 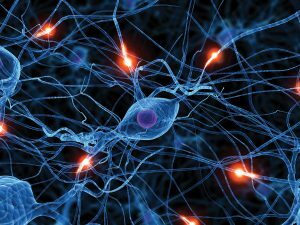 Those experiences are being biologically wired into their neural pathways, their unconscious memories and their personality. What is the economic case for investment in the early years? It has been strengthening for some time, but our societal awareness of this argument is still patchy. It is therefore useful to look at the kinds of evidence now being used to support financial decisions relating to early years investment. 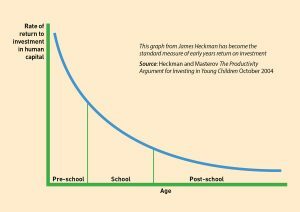 What is the economic evidence for investing in the early years? 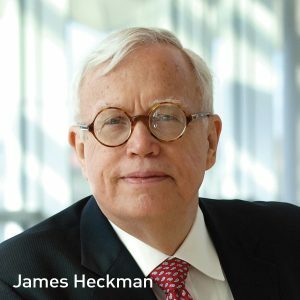 The Nobel prize-winning economist James Heckman has provided some of the most convincing evidence for early years investment. As a labour economist, he is able to draw on large data sets that provide robust financial models. 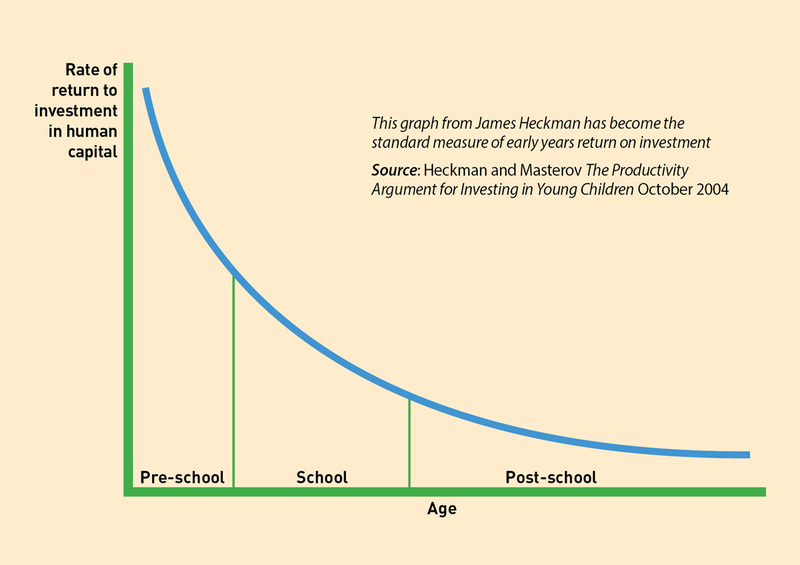 His data sets reveal that the earlier in life one invests, the greater is the rate of return on that investment, as depicted in his seminal graph. The rate of return varies between approximately 1 – 3 and 1 – 15, depending on the outcomes one chooses to measure and the methods by which that measurement is carried out. That is, for every £1 that is invested in the early years, between £3 and £15 are saved later on. If we examine a longer span of time, it is likely that returns increase further. This evidence helps us to understand that where we are not investing in the early years, we are wasting money. Another major proponent of early years economics is Art Rolnick, who served as Senior Vice President for the Federal Reserve Bank of Minneapolis in the USA. He tells the story of being challenged to write a report on the financial implications of early years investment. In the process of gathering the information for that report, he moved from being rather dubious about the early years case to being absolutely convinced. With colleagues, he has developed innovative models for funding early years education programmes that have been transforming educational outcomes for children across the state of Minensota and beyond. One further proponent of this way of thinking is Alan Sinclair, who held the position of Director of Skills for Scottish Enterprise. 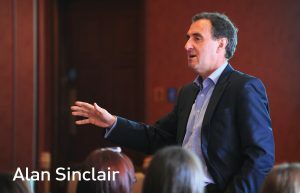 Seeking to understand what qualities businesses desired in employees, he came to realise that key social capacities such as emotional self-regulation, empathy and curiosity were established in the early years. He began to explain to others that if we wanted a strong work force, we needed to invest in their development before they could talk, not once they were teenagers. What biological evidence is there for early years investment? Is there good empirical evidence that what happens in the early years has biological consequences for what happens in later years? If that were the case, we would be able to see better how economics could relate to human physiology. The answer is yes. There are now very persuasive research publications available. One example comes from the US-based Adverse Childhood Experiences Study. This study has shown that a wide range of serious heath problems in adulthood can be clearly associated with stress during childhood. This 1998 study has had a massive impact on how public health agencies think about investing funds. Another good set of evidence showing the biological changes that follow from the early years is provided by the Dunedin Multidisciplinary Health Research Team, based in New Zealand. This team has been able to show, in a study now extending over 40 years, that children who are identified as being ‘at risk’ at the age of 3 years have a much greater chance of becoming involved in violence by their early twenties. This means that society pays for children’s fear by having to fund prisons. It is studies such as these that force us to realise that, as societies, we can spend our money in more effective ways than we do at present. Is there governmental interest in this evidence? What governmental agencies have taken on board these economic insights? Australia was one of the early governments to begin integrating this information into policy, when, in 2005, they produced their report on a ‘whole of government policy framework for the early years’. In 2010, the Scottish Government held a Enquiry into Preventative Spend, led by their Finance Committee. 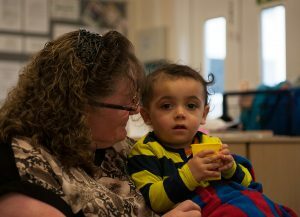 In 2011, the Westminster Parliament in the UK produced two significant reports that examined the evidence for investing in early years intervention programmes. In 2015, the White House in the USA produced a major report outlining the financial case for early intervention. Other governments have also begun to engage with the early years science, bringing to it a wish for financial analyses. Given the vast amount of empirical evidence that is now available on this topic, there is no longer any question that governments who fail to put early years thinking at the centre of their policies are wasting taxpayers’ money. What is the new thinking called ‘Human Capital Theory’? The combination of all this evidence has come to be known, in some quarters, as ‘human capital theory’. The RAND Corporation has published Research Briefs on why such terminology is important. The fact that such a term even exists signals the massive shift in thinking that has occurred in the last several decades. If we do not invest in our children during their earliest years, our whole society suffers. Many people are not yet aware of the economic and human suffering we cause ourselves by failing to put the insights of early years science into practice. If you wish to learn more about the economic case for early years investment, Art Rolnick’s TED Talk on this topic is very informative. How can we help more people to understand what attachment is and how it works? The scientific community may talk a lot about it, but parents have often never heard of it – even though this information would be very helpful to them! Maybe what we need is a different language for explaining it? That’s why I’ve taken to using the language of Sabre Tooth Tigers & Teddy Bears. The phrase ‘Sabre Tooth Tigers & Teddy Bears’ is helpful in all sorts of ways. It makes us more curious about what is driving the children’s behaviour. It gets us to respond more empathically. And it captures the underlying scientific theory. So whenever I am talking about attachment these days, I always draw on the metaphor of Sabre Tooth Tigers & Teddy Bears. Attachment is the biological need that all babies are born with that drives them to bond with their caregivers. The immature nature of human brains means that babies can’t handle emotions on their own, so they need the help of other people. That’s why brains are born immensely observant. Babies notice the facial expressions, bodily movements and responsiveness of other people. They are much more observant than most people imagine and certainly more observant than adults. A baby’s brain needs that power of observation. It is trying to work out the best ways of getting parents’ help and attention. Babies feel like they need that attention a lot! And they really really do. They can’t feel safe without it. 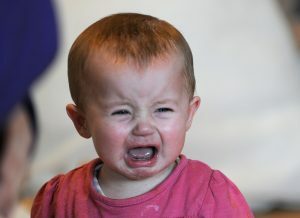 Babies have lots of strong emotions – fear, joy, frustration, disappointment, surprise, anger, boredom, discomfort, loneliness. Any of those emotions can become overwhelming for them. That’s why they need a caregiver’s help. The adult can help to ‘contain’ those emotions, so that the baby isn’t left handling the feelings on their own. With help, and over time, the baby’s body and brain develop the capacity to handle strong emotions. This is called ‘self-regulation’. Attachment is the process that helps a child to grow a strong self-regulatory system. Without the ability for self-regulation, mental health problems develop, as well as physical health problems and behavioural difficulties. Why is the language of Sabre Tooth Tigers & Teddy Bears helpful? The language of Sabre Tooth Tigers & Teddy Bears captures two key insights that the science of attachment has discovered over the past several decades. The first is the frequency of babies’ anxieties. Babies can be scared of all sorts of things that surprise grown-ups. They are scared of being left alone in the hallway. They are scared when a stranger leans in too close, even if she’s smiling. They get scared if they can’t find you because you are being them, pushing the buggy. I could list hundreds of these examples. Talking about ‘Sabre Tooth Tigers’ helps to remind adults of such anxieties. The fear comes from long ago in our evolutionary past, when predators like tigers roamed villages. Babies, who can’t yet run away from predators, needed to be able to call on someone to come and help. That’s what kept them alive! The ability to get someone to come and help when you are feeling scared is part of the baby’s survival system. The second insight from the science of attachment is the importance of comfort. That’s captured by the reference to ‘Teddy Bears’. All of us know that the whole point of a teddy bear is to provide reassurance. Responsive attention from parents and other key adults helps a baby to grow an ‘internal teddy bear’. It helps babies to develop a self-regulatory system that will last throughout life, which will be good at keeping them calm, even in moments when strong emotions are swirling. This capacity to remain calm will be important throughout their life! It will guard against mental and physical health problems, and will prevent relationship difficulties. Who is now using the language of Sabre Tooth Tigers & Teddy Bears? This language is proving helpful to all sorts of people. This includes childcare staff, early years workers, social workers, teachers, health practitioners, foster carers and many others, as well as mums, dads, grannies and granddads. Many organisations and local authorities have embraced it and use it in their training and even in their policies. After becoming familiar with this language, people often remark that they had found the traditional language of attachment theory, such as ‘secure’ and ‘insecure’ attachment, to be confusing. This new metaphorical language helps them to feel more confident and informed. That’s why I now use it whenever I am training people on the subject of attachment. 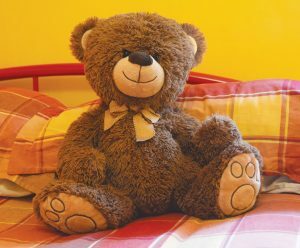 If you’d like to read more about Sabre Tooth Tigers & Teddy Bears, you might could read my Brief Guide to Attachment, available from the shop on the connected baby website. If you’d like to hear others talking about this approach to understanding attachment, you can see that in this film. The emotional trauma that children experience doesn’t necessarily end when a tough time is over. Its consequences can easily last a lifetime. That’s what neuroscience has been telling us for the past two decades. If we are willing, as a society, to come to terms with this knowledge, then we will be able to solve many challenges that currently face our world. We can also make a difference to our individual lives. Once we become curious about the emotional traumas we faced as a child, we gain insights as to the source of emotional struggles we have carried our whole life as an adult. There is now a massive amount of evidence showing that adult health problems, mental health struggles, behavioural challenges and relationship difficulties have their origins in childhood stress. Why does early trauma leave a lasting impact? Babies are born with immature brains. Human brains are designed by evolution to develop after birth, with the most rapid period of growth occurring between conception and 3 years of age. Roughly 1000 neural connections are formed every second during these early years. That is an astounding rate. Those connections are shaped not simply by genetics but by the baby’s experiences of the world. One of the key things that brains are ‘trying’ to figure out is whether the world feels safe or scary. The brain then grows neural connections designed to cope with this knowledge about the world. A baby’s brain doesn’t realise things could be different. A baby’s brain believes that the particular, personalized, daily world that a baby has been born into is the world. The baby’s brain molds itself to that reality. A baby’s physiology is designed to adapt so that the baby can survive in the world he or she is born into. Trauma is a form of physiological stress. The brain and body has been subjected to fear. We know that trauma can alter adult brains. That’s the basis of the diagnosis called Post-Traumatic Stress Disorder (PTSD). A person with PTSD has experienced stress so severe that it has altered the way the brain and body function. PTSD can result even from a single event. If fully mature adult brains can be so significantly affected by trauma, imagine the impact of stress on the vulnerable, immature brains of babies. How do we know that the consequences of early trauma can last a lifetime? 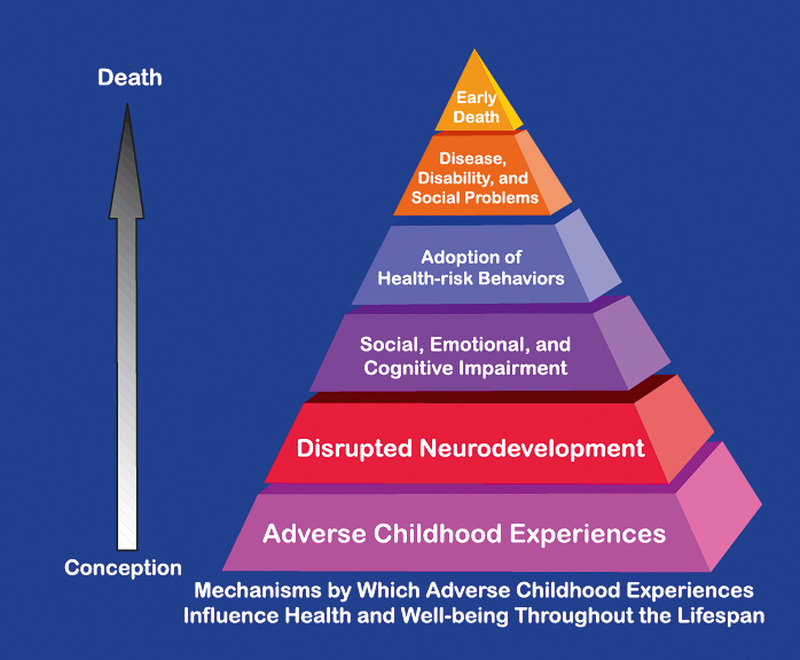 In 1989, a research paper was published that has come to be known as the Adverse Childhood Experiences Study. Its findings showed that violence, neglect, parental mental illness and even parental divorce during childhood leave physiological consequences. Too much of these kinds of stressors cause neurological impairments that result in adult health problems like heart disease, diabetes, substance use and suicide. 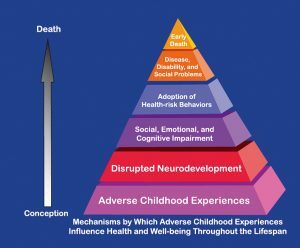 The Adverse Childhood Experiences Study has had a dramatic impact on the way that many people now think about childhood stress. It has led to a raft of follow-up studies, and changes in public health policies in many regions of the world. There is greater appreciation of why violence, poverty and mental illness can be passed down through the generations of a family or a community. One of the core things that this study teaches us is that emotions are physiological processes. Emotions live in our bodies. Sometimes it can seem that emotions live only in our minds and that they are fleeting. They seem ephemeral. Once we have stopped feeling an emotion, it simply evaporates. This study reminds us that is not true. The emotions we feel leave physiological traces. If we experience an emotion often enough – whether it be joy, excitement, sadness, fear, anger, disgust, disappointment — it changes the way our body functions. Stress and fear can literally debilitate us. That’s why it makes sense for us to give much more thought to the emotional experiences our babies have. Babies’ worlds are created on a daily basis by parents, caregivers, product manufacturers and policymakers. While ‘emotional trauma’ may lead us to think first of extreme experiences, we quickly come to realise that the study of trauma also helps us to think about babies’ everyday experiences. Ordinary, fleeting moments matter to babies – and probably much more than we adults ever imagine. In the Western world today, most young children spend at least some time in professional childcare. This has come to be regarded as a normal way of raising children. It is essential that staff engaged in childcare practice have a very good understanding of the science of connection. The years that children spend in childcare are the years that their brain is growing most rapidly. It is common to hear that ‘high quality childcare matters’. Who could disagree with that statement? People always nod their heads, in full agreement. But then we create policies and childcare practices that aren’t high quality. I have come to believe that we really don’t comprehend how much childcare practice matters – not just for our children, but for our whole society. What does high quality childcare practice look like? Here are three ways we can create high quality childcare for children. First, we can ensure that children don’t feel they have been dropped off with strangers. Young children are biologically programmed to be scared of strangers. Children are just like the rest of us (grown-up) humans. They can’t feel relaxed and safe with people until they get to know them. Before children can relax into a childcare setting, and take advantage of all its ‘learning opportunities’, they need time to get to know the staff and other children. This will take longer than only one or two ‘settling in sessions’. Too often in our rushing world, children are expected to settle in too quickly. Second, we can pay attention to drop-off routines at the beginning of the day and pick-up routines at the end of the day. These are the two most important moments of the day, for a child in childcare. These are the moments that involve reunion and parting. You are saying goodbye to Mummy or Daddy or Granny, and hello to your key person. Then, later on, you get to say hello to Mummy or Daddy or whoever picks you up, but you have to say goodbye to the people you spent the day with. Such transitions are emotionally tricky and often involve a fair amount of anxiety for children. We adults often fail to notice that anxiety. Its easy to overlook, because the signs of it are often subtle. The problem is that if we create transitions that are regularly anxiety-provoking for a child, that anxiety gets permanently wired into their brain. Third, we can be sure there are plenty of cuddles on tap throughout the day. In the modern world, we have become scared of touch. We are on guard against allegations of ‘inappropriate touch’. Many childcare settings now have policies that encourage staff to limit the amount of cuddles they offer to children. Sometimes those policies are supported by the belief it will encourage independence in children. But that’s not what the science of connection tells us. It shows without question that children needs lots of touch – especially when they are upset or anxious. The reassuring arms of someone they trust produces a burst of the hormone oxytocin, and that’s what helps children to start to feel calmer. 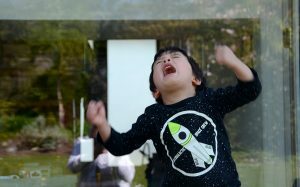 It is not too strong to say that childcare settings who are reluctant to give cuddles are harming children’s emotionally – even though that is probably the last thing they intended to do. The three suggestions I have just given for childcare practice are all attachment-led. The science of attachment, first begun in the 1940s, helped us to appreciate just how much relationships influence children’s development. Since that time, scientists have discovered a massive amount about brain development. We now know that relationships literally shape the neural connections in young children’s brains. Every single thing that happens for a young child – or that doesn’t happen for them – leaves a physiological trace in their growing brain. That’s why it is essential that all childcare practice be grounded in the science of connection. 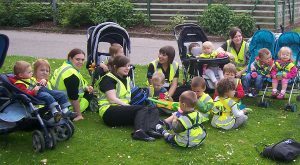 Along with parents and grandparents, childcare staff are the very most important people in a young child’s life. I am appalled that the pay our society offers them for their work does not in any way equal their importance. Dr. Suzanne Zeedyk delivered this keynote address in April 2017, at the Leading Edge Conference hosted by the Association of Headteachers and Deputes in Scotland. Her aim was to help teachers think more deeply about the ways in which biology underpins learning. Her thesis was intentionally controversial. She argued that the Scottish Government’s Attainment Challenge will fail unless the policy implementation takes greater account of biological factors in its thinking about educational improvements. Scotland has set itself the goal of being the Best Place in the World To Grow Up. That is not possible, Dr Zeedyk argues, unless we begin to give much greater attention to children’s emotional needs. Until we help our children feel safe, we cannot help them learn.